The Year of the Pig will come to life at THE ROW as the three resort casinos transform into a colorful celebration during the Chinese New Year. Festivities include Asian cuisine specials and spectacular lion dances. The Buffet at the Eldorado will feature dozens of ever-changing appetizers and entrees from Feb. 14 to 17. 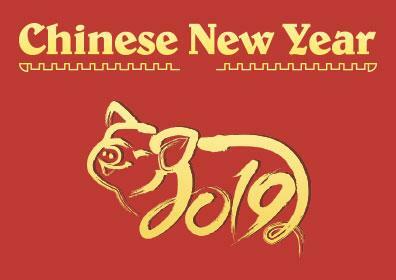 Look forward to a mouthwatering array of food, including a Chinese Crispy Roast Pig every night, General’s Chicken, Teriyaki Chicken Wings, Peking Duck, Steamed Rock Cod, BBQ Pork Spare Ribs, Sweet & Sour Pork, Char Siu Bun, plus dozens of other specialties, soups and appetizers. To see prices and the full menu, visit The Buffet webpage. Other live entertainment for the Chinese New Year includes Hacken Lee 30th Anniversary Concert at the Reno Events Center on Feb. 17 at 8 pm. Don’t miss all of these festivities. Book your room at Silver Legacy today and be right in the middle of the action.